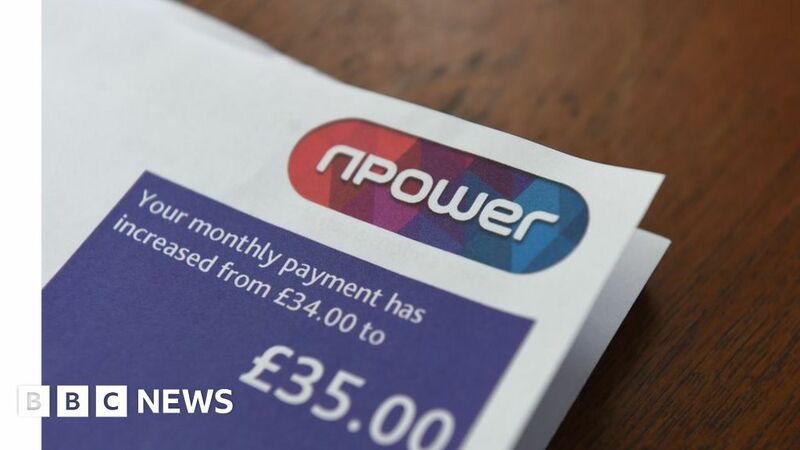 Gas and electricity supplier Npower is raising energy bills by an average of £64 a year for a million customers. The average 5.3% dual fuel price hike comes into effect on 17 June and follows earlier rises announced last month by two of its “Big Six” rivals. British Gas is increasing prices by 5.5% from 29 May, while EDF is raising electricity prices by 2.7%. German-owned Npower blamed increases in policy and wholesale energy costs for the increase. He said the costs energy suppliers are facing – “particularly wholesale and policy costs which are largely outside our control” – have been on the rise for some time “and we need to reflect these in our prices”. Mr Stacey pointed out that the price rise would not affect existing customers on a fixed deal, those with a prepayment meter, or customers on the Safeguard tariff.